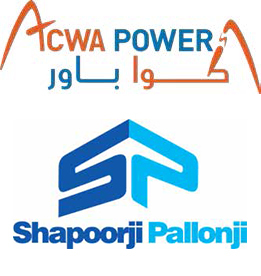 ACWA Power, the Arabian Company for Water and Power Development, is a subsidiary of ACWA Holding, itself a subsidiary of Al Muhaidib Group and Abdullah Abunayyan Group, two well-reputed and diversified Saudi business houses. Other shareholders in ACWA Power include the International Finance Corporation (IFC), which belongs to the World Bank Group, and the Saudi Public Pension Agency. ACWA Power was chosen to lead the Noor Laayoune and Noor Boujdour projects, two new renewable energy solar plants in Western Sahara, as a joint project with Chint Group of China. ACWA Power was tasked with designing, financing, constructing, and maintaining the plants. Noor Laayoune has a maximum capacity of 80 MW, while Noor Boujdour has a maximum capacity of 20 MW. To carry out the Noor solar projects, ACWA Power chose India’s Sterling and Wilson as a subcontractor. Sterling and Wilson is a leader in electrical, solar, and mechanical projects and a subsidiary of Shapoorji Pallonji Group, an Indian business conglomerate, which purchased a 51 percent stake in the company. ACWA Power, “About Us: Introduction,” http://www.acwapower.com/en/about-us/introduction/. Tom Kenning, “ACWA Power and Chint Selected to Develop 170MW Solar in Morocco,” PVTech, November 16, 2016, http://www.pv-tech.org/news/acwa-power-and-chint-selected-to-develop-170mw-solar-in-morocco; Trade Arabia, “Acwa Chosen for New Solar Project in Morocco,” November 20, 2016, http://www.tradearabia.com/news/OGN_316944.html. Sterling & Wilson, Ltd., “About Us: Profile,” http://sterlingandwilson.com/about-us/profile/. Shapoorji Pallonji Group, “Sterling & Wilson,” http://www.shapoorjipallonji.in/sp/sterling-and-wilson-1.